Peki’in Cave, where Rabi Shimon bar Yochai and his son Rabi Elazar hid. After waiting for hours to receive a brachah from the mekubal Harav Dovid Abuchatzeirah, shlita, those who have taken the journey north might be inclined to wend their way eastward across the Galil Ha’Elyon to the mystical cities of Tzfas and Meron. Yet, while traveling from Nahariya to Tzfas along routes 89 and 864, the casual tourist might drive right past the very cradle of the Torah’s mystical tradition without so much as stopping for ten minutes of hisbodedus. A picturesque jewel, the village of Peki’in rises from a sloping knoll set in a verdant ring of Galil Ha’Elyon hills ten miles west of Tzfas. The village’s stone houses project from a steep hillside dappled with pomegranate trees, olive trees and grapevines. While you will not commonly find it on most tourists’ itineraries Peki’in is a place that has left an indelible mark on the chronicles of Klal Yisrael. When sentenced to death and hunted by the Romans for the “scandalous crime” of “telling it like it is” and “speaking truth to power,” the great Tannaim, Rabi Shimon bar Yochai and his son Rabi Elazar hid deep in a cave in Peki’in. There, they were miraculously sustained for 13 years by a wellspring and a carob (buhkser) tree situated just outside the mouth of the cave. Rabi Shimon’s rebbi, Rabi Akiva was the only one of four illustrious Tannaim to enter and exit the Pardes intact. In the Pardes, Rabi Akiva had glimpsed the innermost mysteries of the Torah. He transmitted these deepest facets of the Torah to Rabi Shimon. In the cave, father and son studied Torah diligently and intensely. Sheltered from the humdrum and the mundane, they plumbed its depths and expounded its secrets. It was there in that Peki’in cave, where the Zohar, the fundamental text of Sisrei Torah was composed. Upon first emerging from his cave Rabi Shimon famously and sharply condemned the farmers he saw tilling the soil as “busying themselves with their temporal life while ignoring their eternity.” In all likelihood these farmers were cultivating the vineyards and olive groves of Peki’in’s sloping hills, as their descendants would do for centuries to come. 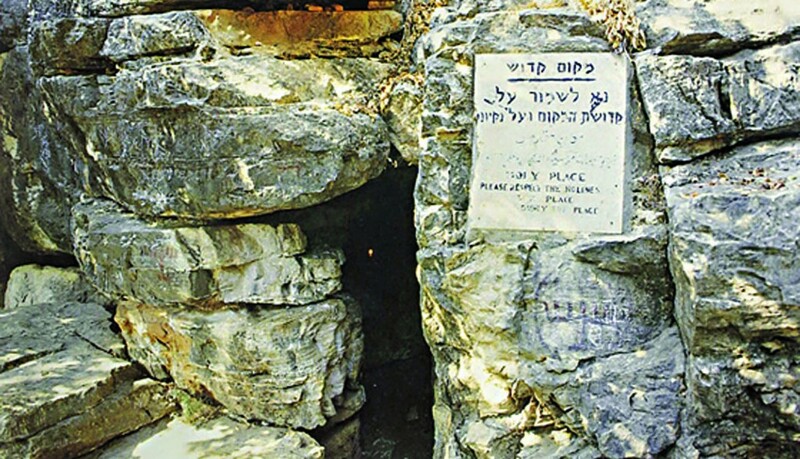 Today, only the mouth of Rabi Shimon’s cave is accessible. The cave’s interior was destroyed during an 18th-century earthquake. But tradition maintains that prior to that, a series of interlocking caves formed an underground highway between Peki’in and Tzfas. Outside the mouth of the cave, the carob tree that sustained the fugitive Tannaim still bears fruit. In the center of the village, about three pitched city blocks downhill from the cave, a beautifully descending-step-tiled pool still funnels Rabi Shimon’s wellspring. Peki’in is also the only city, town or village in all of Eretz Yisrael with uninterrupted Jewish tenancy from the Churban Bayis Sheni in 70 CE until this very day. The Jewish families of Peki’in have cultivated the land surrounding the village from time immemorial. Many were Kohanim and claimed descent from the Tanna Rabi Yosi d’min Peki’in. Under subjugation by Romans, Byzantines, Caliphs, Mamluks, Crusaders and Ottoman Turks, Peki’in Jews somehow managed to develop numerous modi vivendi throughout the ages, to survive alongside their Muslim, Druze and Christian neighbors. 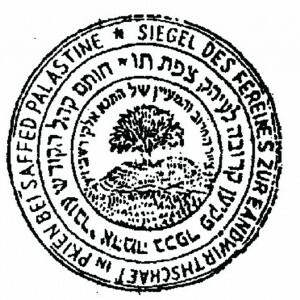 When considering our people’s utter lack of political and military power throughout our long and bitter galus, the policy pursued by so many Christian and Muslim rulers of expelling Jews, and their fanatical religious opposition to Jews inhabiting “their” Holy Land; the fact that at least a small number of Jewish families always maintained their residency in Peki’in must be seen as a miracle. The significance of Jews having always lived in at least one small corner of Eretz Yisrael was not lost on early Zionists. 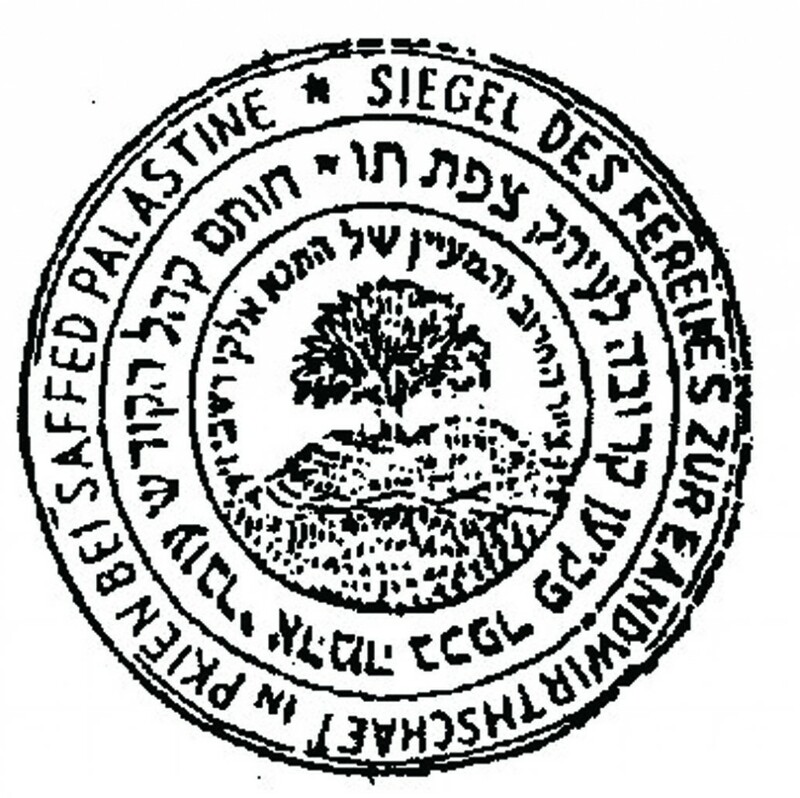 The history of Peki’in supported their efforts to stress the bond between the Jewish people and Eretz Yisrael. In particular, it bolstered the claims to the historic homeland for those opposed to the Uganda plan. It is one thing to tell the world that Jews never really relinquished their claim to the land since they always prayed for their return to Eretz Yisrael. But it is orders of magnitude stronger to claim Jewish ownership of the land based on the persistence of at least a miniscule number of tenacious Jews who remained. 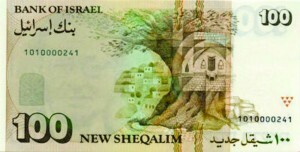 Peki’in featured on 100-shekel note. Yitzchak Ben-Zvi was among these early activists and leaders. After hearing about the small Jewish community, which was having difficulty eking out a living, he visited the village in 1922. After that first visit, Ben Zvi developed a particular fondness for Peki’in. He wrote about it extensively in his book She’or Yishuv (a wordplay on the Navi Yeshayah’s son’s name) and he became Peki’in’s patron. 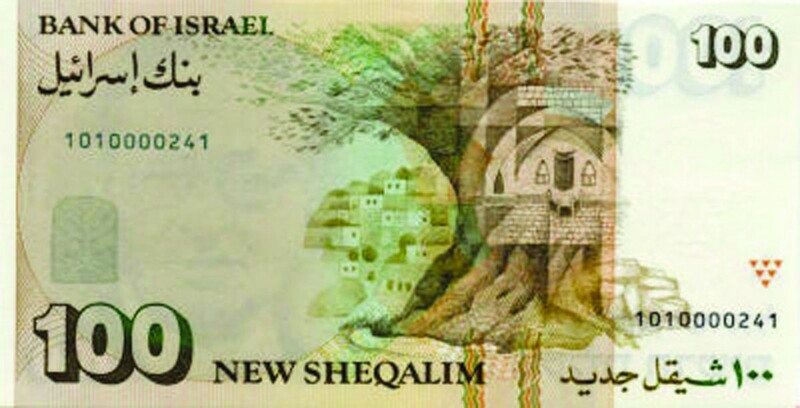 Yitzchak Ben-Zvi would eventually become the second president of the state of Israel and his love for the village and its history is memorialized on the 100-shekel banknote that bears his image on the front and the image of the Peki’in shul on the obverse. The Peki’in shul, located in the town’s Jewish quarter, bears testimony to the community’s ancient roots. The current structure was built in 1873 over the ruins of the beis medrash of the Tanna, Rabi Yehoshua ben Chananyia, who headed a beis din and yeshivah in Peki’in in the immediate post-Churban era. A plaque commemorating the donation that funded the shul’s 1873 construction thanks Rafael Halevy from Beirut for his generosity. It was renovated twice more: once in 1926 and again in 1956. Tradition maintains that predecessors of the current structure were built incorporating stones recovered from the smoldering ruins of the Beis Hamikdash. 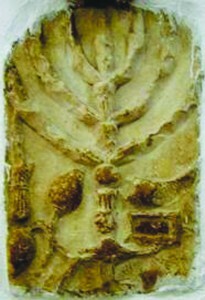 In 1926 and 1930, two old stone tablets dating from the period of the Churban were uncovered on two of the shul’s pillars. One displays a shofar, a lulav and a seven-branched menorah, and the other depicts a gateway with columns on each side, perhaps symbolizing the gateway to the Kodesh Kodashim. These tablets are still visible today. Most of the Jewish families of Peki’in were Kohanim, descending from Shevet Levi. Exempted from slave labor, the Levi’im were in galus Mitzrayim but not of it. Similarly, throughout this seemingly interminable galus Edom, consecutive generations of Peki’in’s Jewish families have transcended the entire Diaspora experience of the Nefutzos Yehudah and Nidchei Yisrael. While the rest of our people were scattered to the four corners of the earth, the Jews of Peki’in never left their ancestral homes in Eretz Yisrael. Peki’ins Jews have been in galus Edom but not of it. It seems as though the hashgachah Elyonah orchestrates things so that in every galus there remains one small, pure segment of Klal Yisrael that stands above the fray and is untouched by the most flagrant elements of the galus. But, despite Peki’in’s glorious antiquity and awe-inspiring, deep historical roots its recent past has been tragic, its present is grim and its future bleak. When first driving down the mountain-hugging road that leads into the village, one notices that almost all of the signs are in Arabic and the town doesn’t feel like Israel. Suddenly a sign in Hebrew appears but it bears a perplexing, tragicomic caption. It is a bake-shop/falafel stand announcing: “Tachat Hashgachat haRabanit Margalit Zinati,” under the kashrus supervision of the “Rabanit Margalit Zinati.” Why would the Rabbanut of so noble and ancient a Jewish community be having a Rabanit rather than a Rav in charge of kashrus supervision? Moreover, why is anyone’s name mentioned at all? Why not something far more customary such as “under the kashrus supervision of the Va’ad haKashrus of Peki’in”? But as one walks down long, winding roads inaccessible to vehicular traffic that lead from one tourist attraction to another, and one interacts with the actual, current inhabitants of Peki’in, the answer becomes painfully clear. In Peki’in, ancient and mystical though it is, there is no chief rabbi. There is no Va’ad haKashrus. There is no Jewish community of any kind. Today, 65 years after the establishment of a “Jewish” government in Eretz Yisrael, Peki’in is a nearly Judenrein Druze village. The elderly spinster Maragalit Zinati is the only available option to prepare and supervise kosher food because she is the very last Jew living in this ancient Jewish community. The 82- year-old Ms. Zinati (may she live and be well until 120) is the scion of families blessed with tremendous longevity. But if recent demographic and economic trends and government policy are any gauge, it seems a foregone conclusion that her eventual passing will break the chain. Peki’in will become utterly Judenrein, chas v’shalom, and will no longer be able to make the claim, unparalleled in the annals of our history, that it has been a home to Jews from the Churban Bayis Sheini to the present. In under a mere hundred years fueled by paranoia, governmental mismanagement and ethnic and religious tension, roiling Middle-East politics have done what two millennia of successive hostile occupying empires, droughts, earthquakes, locust plagues, pandemics, famines and wars were unable to do; shed Peki’in of her Jews. At the dawn of the twentieth century, a census revealed that 11 Jewish farming families comprising 93 nefashos lived in Peki’in. According to a 1931 census 52 Jews still lived in Peki’in. Jewish Peki’in’s troubles began during the Western Wall Uprising riots of 1929. The most infamous for these riots was the Chevron Massacre that emptied the Ir HaAvos of its Jewish population. During “the Uprising,” all of Peki’in’s Jews were also forced to abandon their village, out of fear of the rampaging Arab gangs. Still, most of them returned to the village in the early 1930s. Then, in 1936, motivated by opposition to mass Jewish immigration, Arabs all across Eretz Yisrael began a three-year-long nationalist uprising against British colonial rule, marked by a series of riots. Peki’in’s Muslim, Druze and Greek Orthodox Arabs were able to tolerate Jews for as long as they stayed a tiny, insignificant minority, but with the threat of a significant Jewish influx that they correctly feared would lead to majority Jewish rule across the country, deep-seated jealousies and hatreds were inflamed. The Jewish population of Peki’in fled 104 kilometers (about 60 miles) to Hadera in 1938. All those millennia after the rest of Yehudah was banished, galus had finally caught up to Peki’in Jewry. 1938 became their Tishah B’Av year. In 1938 they too tasted the bitterness of abandoning homes and becoming wandering refugees. With the establishment of the state in 1948, a handful of members of the Zinati, Nikbali and Mizrahi (HaMuchtar) families returned to the village and, in 1955, a Moshav Shitufi, New Peki’in, was established just to the northwest of the original village. However, this moshav was established by recent olim from French and Spanish Morocco and did not serve as a magnet to repatriate the “Hadera Diaspora” — the original Peki’in families who’d been in the village for countless generations. Thereafter, Peki’in’s lack of modern economic opportunity and chinuch infrastructure discouraged any large-scale influx of Jews. Still, from the 1960s through the 2000s, handfuls of Jews sporadically bought property and attempted to make their homes in Peki’in. These intrepid mavericks found Peki’in’s nationalistic and mystical guiles, its history of predominantly peaceful coexistence, the charms of its picturesque landscaping and its delightful climate irresistible. The final blows for Jewish citizens of Peki’in came in October of 2007 and February of 2008. 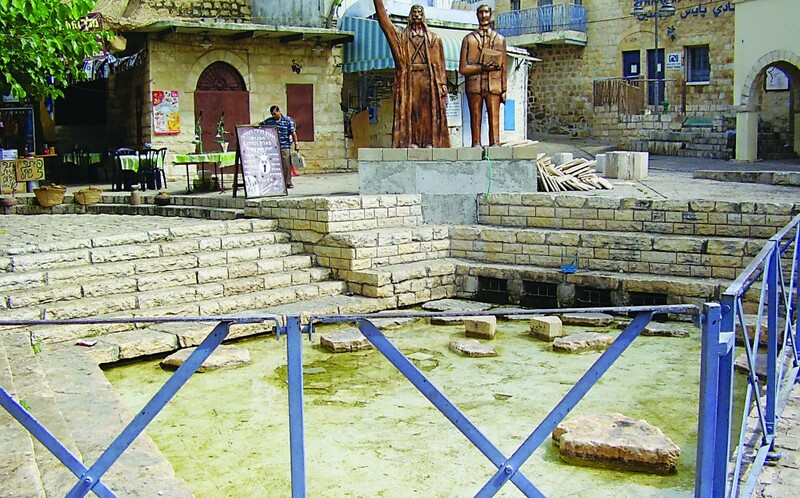 First, violence broke out in the mixed Jewish Arab city of Akko on Yom Kippur 5768. Then, anti-Jewish violence spread like a virus to Peki’in. The match of resentment that ignited the firestorm of bloodshed in Peki’in was the pervasive suspicion that a cellular antenna tower was causing a spike in the cancer rate among the Druze villagers. Despite repeated complaints to authorities, the government refused to remove the cell tower. The local Arabs lashed out at those they most identified with the government: the police and the Jews, and anti-Jewish violence erupted. Twenty-seven police officers and about 10 civilians and Magen David Adom paramedics were injured. Rioters took a Border Guard policewoman hostage for several hours and set fire to a home owned by a Jewish family. The violence provoked an exodus of Jews from the village, primarily families who had recently moved in. With tensions still smoldering in the immediate aftermath of the riots, police asked the Jewish families to refrain from returning to their residences in the town until further notice. In early November, the police felt that the situation had “normalized.” They removed checkpoints, and allowed the eight Jewish families who lived in Old Peki’in to return to their homes. Knesset members clashed in feisty debates over the causes of the riots in Israel without reaching a consensus or developing effective policies to prevent future violence. In February 2008, after overly optimistic hopes that the locals had calmed down, Jew-hatred reared its ugly head in Eretz Yisrael’s oldest Jewish community once more. A Jewish-owned building located next to Bar Yochai’s spring in the center of town purchased by a Jewish resident of Ma’alot four months earlier became the target of arsonists. It was being renovated to become a hostel as well as a stopping place for soldiers. Police said the arson was meant as a warning by militant Druze youth to other Druze and Christian families not to sell their homes to Jews. The last of the nine Jewish families that quit the community held out until their car was torched on a Friday night, convincing them it was time to go. It is utterly ironic that, as Peki’in residents and Holocaust survivors Ruth and Abel De Jung left the village for the last time, they told reporters that “they had moved there from Holland to live in a place where people of all religions live side by side”! After the 2008 riots the only holdout was Margalit Zinati, keeper of the final ember of the Jewish presence in Peki’in. Chazal tell us that even a sefer Torah in the Aron Kodesh needs to have good mazel. Some are constantly being read from while others gather dust between annual appearances on Simchas Torah. Why the site of Rabi Shimon’s histalkus, where only the Idra was revealed, became wildly popular, while the place where the Zohar’s secrets were first expounded and divulged remained largely unknown and almost completely ignored is perplexing. The Palestinian Muslims living outside the Green Line are nationalist and religious fanatics, while the Druze have traditionally been peaceful and cooperative in places where they lived together with Jews. In fact, they were so loyal to the State of Israel that, by and large, they serve in the IDF and Border Patrol. Why the Israeli government would invest billions into building Jewish population centers in post-1967 territories amid hotbeds of terrorism while, at the same time, not-so-benign governmental neglect has led Peki’in, situated well within the 1948 armistice lines and with a rich history of peaceful coexistence between all religious groups to become Judenrein, is illogical and infuriating. As we leave our comfortable, “permanent” homes in favor of our diras arai on Sukkos we are supposed to get a sense of the nomadic lives of our ancestors. In the final analysis, every sensitive Jew has a visceral awareness that until Moshiach comes and “implants us within our boundaries” once more, we are rootless wanderers. The irony of Peki’in, the village with the oldest and, one would think, deepest Jewish roots slated to become completely devoid of Jews within a matter of years ought to add poignancy to our reflections on the tenuous nature of our existence in galus and deepen our yearning for the coming of Moshiach, when our rights to live anywhere in our homeland can never again be challenged. Rabbi Dovid Schwartz, a marbitz Torah for many years as a mesivta rebbi and outreach professional, is currently the Mara D’Asra of Cong. Sfard of Midwood. His father, Rav Elimelech Hakohen Schwartz, z”l, was a renowned journalist who contributed regularly to Dos Yiddishe Vort and periodicals of Agudas Yisroel in pre-war Poland. This article appeared in print on page 13 of the September 16th, 2013 edition of Hamodia.